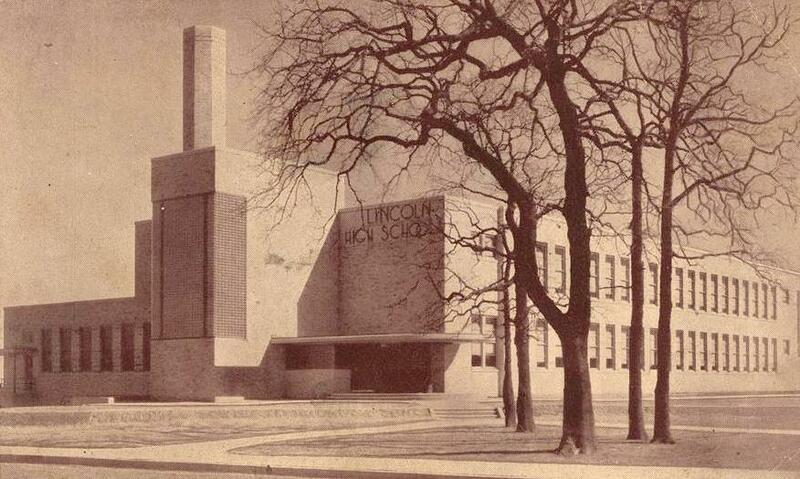 When it opened on eleven acres in South Dallas in January, 1939, Lincoln High School was one of the largest high schools in Dallas, and one of the largest African-American high schools in the entire South. Shockingly, in 1939 it was one of only TWO (!) high school for black students in Dallas. As one would expect, its opening was greeted with great enthusiasm, and students rushed to enroll, pushing its capacity to a maximum. At its height, it had over 3,000 students. The building was designed by architect Walter C. Sharp, who designed many schools in and around Dallas, and with those clean lines and glass bricks, it’s pretty cool. For more on the background of Lincoln High School, see the info from the “Open Plaques” project here.